We at This or Die Salon, pride ourselves of having an amazing team of stylists whom continue to achieve great hair design and color for our clients. We apply each cut and color for the individual, creating a custom look just for you. We take into consideration, the shape of your face, skin tone, and personal style. Â Creating sophisticated looks that are technically precise and effortlessly chic. Looks that are modern, have great movement, and are easy to recreate day after day. 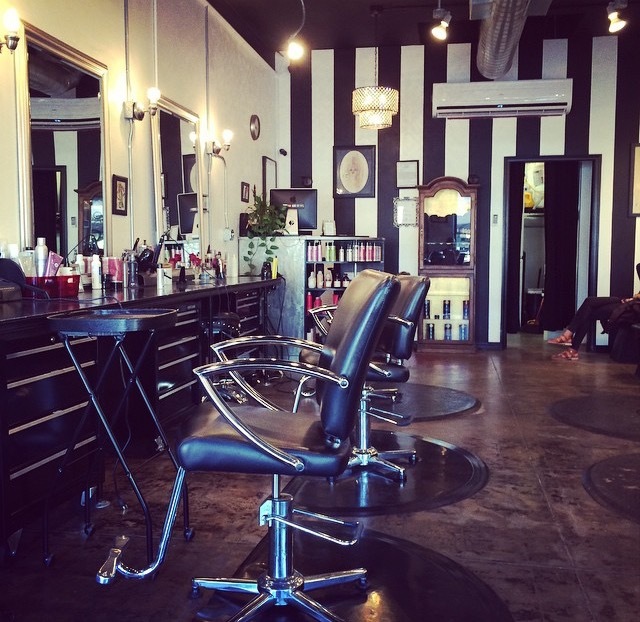 The salon has a modern-elegant sense of style, a clean-sleek-custom interior, with a rock n’ roll Â atmosphere. We carry hair care products that are good for the environment and you! 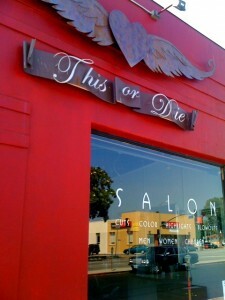 Located in the heart of Atwater Village, This or Die Salon stands out amongst the rest! We accept Cash Mastercard, Visa, American Express, and Discover. A $30 fee applies to all missed appointments and appointments cancelled with less than a 24 hours notice, per service booked. For the safety and comfort of all clients, we perform hair services on clients over the age of 13. Any children in the salon under the age of 14 must be accompanied at all times by a guardian who is not receiving hair services that day. We ask that clients refrain from speaking cell phones in the salon, texting is ok.